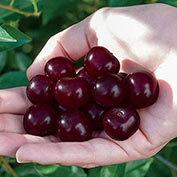 Juliet Dwarf Cherry Tree | Gurney's Seed & Nursery Co. The Sweetest of the Bunch! Our sweetest, tastiest dwarf cherry yet. Flavor sensation! 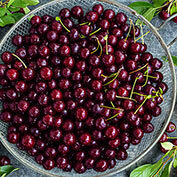 Juliet can obtain up to a 20-brix sugar level (higher than sweet cherries) with a delightful complement of acidity, making for a rich, complex flavor. Large, attractive fruits. 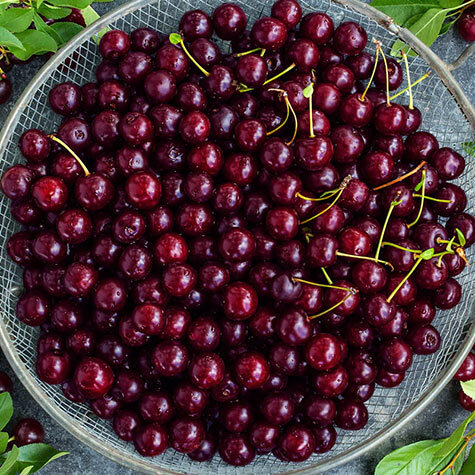 Deep-red cherries are our favorite for eating fresh, but are delicious when used for baking, jams and ice cream, and freeze beautifully. Yields up to 25 lbs. of fruits. Easy to manage. 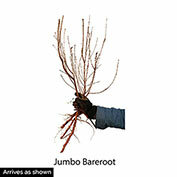 Growing just 5-to 8- ft. tall, Juliet is a breeze to care for and harvest, and easy to fit into the landscape or large containers. 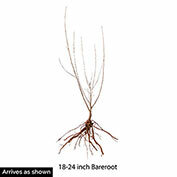 Ideal for edible landscape. Abundant, white flowers, glossy green foliage and attractive bush habit allow it to double as an ornamental. Self-pollinating. Hardy to -40 degrees Fahrenheit. Zones 2-7. Comments: Low suckering, easy to grow, manageable plant size (easy to pick, prune and cover with bird netting if desired). 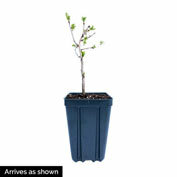 Attractive rounded plant shape with attractive white blossoms. Excellent for fresh eating.